2018 was a year of change. Great change. New experiences, new travels and new perspectives on art and life. So, after negotiating through the gauntlet of December, the social gatherings, the family visits, the hangovers, the laughs, the stress, the moderate mince pie weight gain and going to more Christmas parties than you could shake a stick at we headed out to Paris for New Year’s Eve. Just me and The Scot for reprieve against the chaos, a blissful 3 days to laze, wander through Parisian galleries and to reflect on the year gone by. New year, New Me? Not quite, but it did get me thinking about how December tends to throw you into that strange emotional space of reflecting on the year gone past whilst also committing to change; a new you, a better you, a more organised you while spending 75% of the time in a heady, boozed filled interim. A boozy December sanctuary, that’s what it is. A sanctuary that protects you from the guilt of not actually fully committing to your newly resolved changes because there’s no point starting just yet, after all, you’ve already committed those 45 dinner parties and catching up with quite literally every man and woman you’ve ever met. January the 3rd, that’s the date, the Date of Great Change. Enough time to recover from the final hurrah of New Year’s Eve but still early enough to feel like you’ve hit 2019 running, at pace, with the gumption of one of those horrendously successful people. We landed slightly fuzzy-eyed (thank you Mr Red Eye) with very minimal luggage and jumped on the train into Gare Du Nord. After seeking out espresso and those warm, flakey baked goods that the country is famous we jumped back on the metro. Our destination? Mama’s Shelter, a perfectly kooky hotel with a cool vibe and all the idiosyncrasies that you’d expect from a hotel designed by Philippe Starck, nestled in the super arty 20th arrondissement. The Scot warned me profusely about pickpockets (something about my basic inability to look after those ‘fundamental’ things like keys, purses and phones in the normal day-to-day, ‘just be extra, extra, safe, yeah...’) and then immediately had his brand new shiny iPhone nicked on the tube. 45 minutes in, properly pickpocket at rocket speed. I’d be lying if I wasn’t a teeny, tiny bit smug at my still-on-my-person Samsung secured extra securely in the inside pocket of my good old trusty Barbour. Bravo Barbour, bravo. A quick turn around at Mama’s, which consisted of throwing the bags in the room, a phone call to Apple, a beer and a high five at just how successful we’d been at escaping it all and we were off. No maps, no sense of getting anywhere (part enforced by The Scot’s loss of device coupled with my aversion to Google maps) just a perfectly lazy stroll through the incredible back streets of Paris. We ducked into cafe’s, pressed our noses up to the windows of frustratingly-so closed shops filled with antiques, candles, chocolates, books, bric-a-brac, the lot. Craned our necks up at the eclectic mix of Parisian apartments and had plenty of conversations about giving it all up and relocating. We laughed. We drank. We ate. I took so many photos of walls, of shop fronts, of street art and spent an unusual amount of time admiring all the textures. 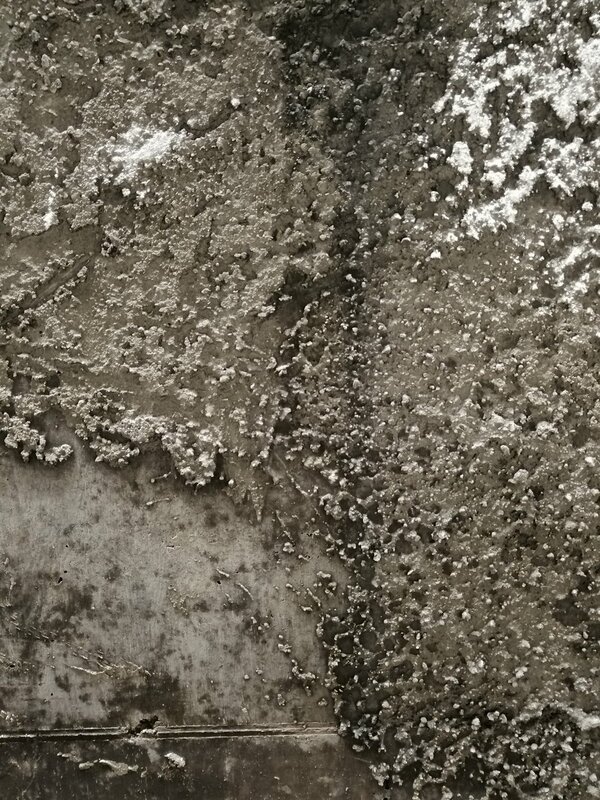 Textured of walls, of doors, of the moss on the pavement, of old paint, smokey black textures created by the layers of pollution built up on street-level buildings and from the scuff marks left by a thousand footsteps of commuters on the stairs to the Metro. It got me thinking about layers in my artwork, how the first layers of a paint influence the ultimate appearance of a piece of work. Each layer before changes the one above, as an artist you’re mindful of this, you have to foresee and consider carefully how a touch of Potter’s Pink committed to the canvass in hour 5 of a work will affect that splash of Ultramarine Blue at hour 45 down the line. It’s quite the task really. Layers of paint, like layers in textures, creates a chronology, a lineage back from the beginning to end, the first seemingly innocuous splatters of paint bear on the final outcome. I mused over this in our ambling, a little like how our experiences before shape our being now, the way we think, how we sound, what we’re interested in. We’re shaped by our experience, maybe not quite as profoundly Butterfly effect-esq but still, it’s still kinda’ intriguing to think about. The next day we were surprisingly fresh and still smugly fancy-free so headed out to be horrendously touristy. We headed to Notre-Dame and admired the iconic Cathedral from the bridge (couldn’t face the queue, we conceded later that we should have stuck it out) then onto the Eiffel Tower. The lack of a map meant we had the most haphazard, convoluted journey through Paris to get there. It was great. We strolled down streets we would have never crossed if Google had anything to do with getting us there. We stumbled across street art, stuffed stags with floral headbands (which has inspired a painting I have in the pipeline), the best Dim Sum’s we ever did eat and loads of awesome artisan pop-ups. I’m a socially antisocial creature at heart, an introverted extrovert if you will. By this I mean, I love people, love a good knee's up and love spending time with all the crazy humans in my life but I also love time alone. Quiet time, downtime, lets-just-watch-Netflix time. For the last 15 years, I’ve spent New Year’s Eve with masses of my nearest and dearest, at house parties, bar parties, street parties, dinner parties every type of party you could imagine but this year was different. Just me and The Scot, cooried under the cascade of mauve-pink flowers that impose on the facade of Le Vrai Paris in Montmartre, G&T’s in hand ready to welcome in the New Year. In true French fashion - perfectly understated - the midnight chimes were greeted with a simultaneous up seating of everyone in the restaurant to exchange that famous double kiss (for all those fun fact collectors reading this it’s called 'Faire La Bise’, by the way) and one of those extra squeezy, embracing hugs than finish off with a firm grasp of your huggers arms and a thoroughly meant ‘Bonne année’, promptly followed by a return to the table. Upon our reseating, as I nestled next to The Scot and listened to that soft, mellifluous accent that our Northern Celtic counterparts are famous for I thought about all the great things 2019 will bring and, if I’m perfectly honest, felt unashamedly content. Absolute Bliss, for sure. We greeted New Years Day with heavy heads, two double espressos and a frustrating quest for a galette, found eventually in a little bistro some walking away. Having regained a modicum of human feeling, we continued our wanderings and stumbled upon one of those street stalls selling antiquated books and those beautiful vintage flora and fauna illustrations. I’ve a particular interest in these at the moment and they’re a huge influence behind the wildlife ICONS series I’m building upon this year (watch this space…). What I love is that awesome melding of art and science, that stripping back to a single subject drawn with accuracy but still retaining the artist’s hand and style. 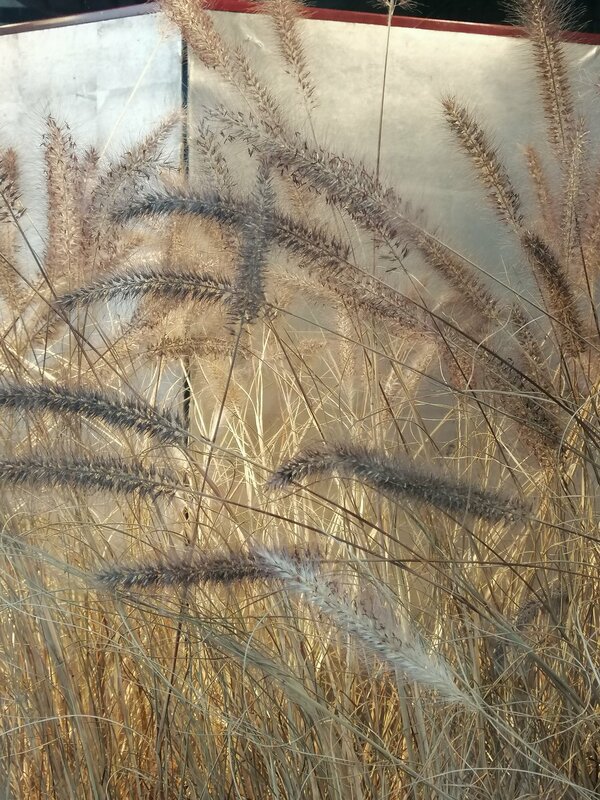 Artwork where the subject dominates, suspended in negative space, no need for unnecessary context in the form of scenery to distract the eye. There’s a purity to those old illustrations, one thing done well, and it’s this purity that I want to emulate in my work. I snapped some pics of them for reference (a new habit I’ve been working on) and also bought a delightful print for my niece’s bedroom. The hot air balloon made me imagine being blown away to some far away adventure, I hope it inspires similar dreams in her. The rest of the day was a hazy amble punctuated with plenty of pit stops for carbs and sugar, the best find being L’ Atelier du Chocolate which makes insanely good chocolate. Go there if you’re near, just do it, you can thank me after. Head to 109 Rue Saint-Anotoin for L’Atelier du Chocolat extremely excellent chocolate. Day 3 was where the real art action happened. 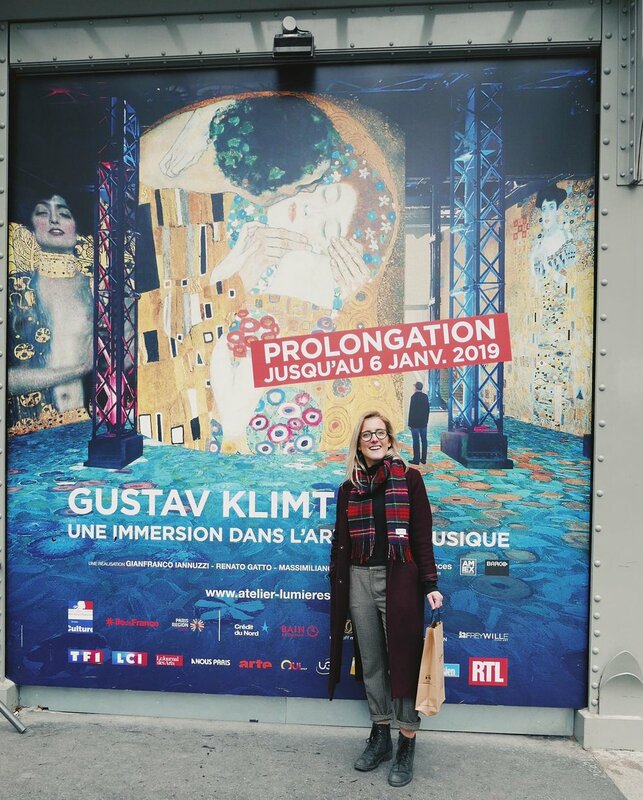 I’d been unusually organised and pre-booked tickets to Atelier des Lumières ABSOLUTELY AWESOME opening show on Klimt. As if this wasn’t enough, we then headed over to the Louvre in the afternoon. A double whammy of arty delights rolled into 8 hours of total cultural indulgence, an eight-hour visual feast if you will all topped off with a sighting of a skateboarding English bulldog, which was arguably the highlight of the trip for The Scot. For fear of boring you to death, coupled with the fact that apparently, the average reader loses all attention after 15 seconds. Which sounds like some sort of millennial affliction that has spread to the wider populous to me, I’ll save the juicy art bits for Part Two ('ooo a cliff hanger ' I hear you think). What I will leave you with is that seeing tiny details blown up on 18 ft walls is pretty epic and that three days in Paris was three days well spent. Go do it, but watch the pickpockets. Great, thanks for subscribing. !We look forward to sharing with you all the latest from the studio!